Canada Express Entry Scheme in its recent annual report has revealed astonishing details about the immigration trends to Canada and the system. Express Entry system in the initial express entry has issued permanent residence to over 80 percent applicants in just six months. 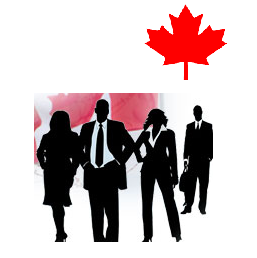 The express entry demands the most qualified professionals who can join the Canadian workforce. Canada Express Entry in the 12-month report has received 21, 562 permanent residence applications out of the number of invitations sent to the applicants in the successive draws. The Alberta province of Canada popularly known as the Garden province of the Canada has received the highest number of applications. People prefer more to reside in the garden province. Express Entry clearly an economic immigration program, it recruits skilled professionals required by the industries of the Canada. The integrated system of industry and countries immigration procedures is to bring the most useful talent to the industrial sectors. Historically, even Canada is the land of immigrants, it is the attempt of the Canada to maintain immigrant population who add diversity and more responsible in work and pay taxes and add to the country’s economy. The Canada Express Entry has fulfilled the requirement, and the more inputs are being taken from the immigration lawyers. To make the system more transparent to the employers, by removing the LMIA, the Canada Express Entry is likely to be reviewed. Canada Express Entry Scheme is the unique system that is active throughout the year. The candidates applying for the Canada Permanent residence must create an express entry profile which would be active for a year. However, candidates must seek the help of the experts before lodging an application. Applicants will receive the chance of getting permanent residence directly if invited through the permanent residence. How can I apply for the Canada Express Entry Scheme !! Canada Immigration gives the stringent options to the applicants, only the most qualified people get entry into Canada !! How one gets Direct Permanent Residence in Canada, is it realistic friends !! !